Also known as Bitter Orange Leaf Oil. Though steam distilled from the same botanical species as neroli and bitter orange, Petitgrain Essential Oil possesses its own characteristically unique aroma. Petitgrain Oil is distilled from the leaves and sometimes the twigs and branches of the tree whereas Neroli Essential Oil is distilled from the blossoms and Orange Essential Oil is typically cold pressed from the rinds of the fruits. Because it is distilled from the leaves and sometimes also the twigs, it is less floral and less citrusy in fragrance than Neroli or Orange. Petitgrain Oil possesses an aroma that is sweet, yet tart with subtle floral and woody characteristics. It blends especially well with citrus, floral and wood oils. It's a joy to work with for aromatic blending. Emotionally, I find Petitgrain Essential Oil to be uplifting, calming and balancing. I tend to include Petitgrain Oil in my inhalers intended to help ease anxiety and high stress situations. Like Lavender, Petitgrain Oil contains the calming ester linalyl acetate and the calming/anti-bacterial monoterpenol linaolol. Typically when the common name of an essential oil is simply listed as Petitgrain Essential Oil,, the oil is likely distilled from Citrus aurantium. However, it is important to doublecheck because steam distilled Combava Petitgrain, Citrus hysterix, and Clementine Petitgrain, Citrus clementia Essential Oils are also available from a few sources. The aromas of each definitely say "Petitgrain" when you smell them, but each definitely has its own lovely aroma and unique aromatic characteristics. The natural chemical composition of each oil also varies, and it appears that Petitgrain derived from Citrus aurantium is the most abundant in Linalyl acetate and linalol. The GC/MS reports that I've seen for both Combava Petitgrain and Clementine Petitgrain have been a bit conflicting, so I hesitate to suggest what the typical composition should be until I have more definitive information. The aroma of Petitgrain Essential Oil is a wonderful addition to blends especially formulated for men (women love it too). Petitgrain is considered an aphrodisiac. Fresh, sweet, yet tart with subtle floral and woody characteristics. Source: Julia Lawless, The Encyclopedia of Essential Oils (Updated Edition) (London: Harper Thorsons, 2014), 163. Source: B.M. 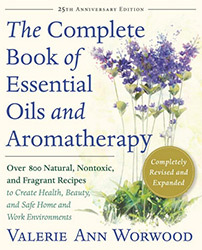 Lawrence, Essential Oils 1988-1991 (Wheaton: Allured Publishing, 1995), 107-110. Source cited in Robert Tisserand and Rodney Young, Essential Oil Safety (Second Edition. United Kingdom: Churchill Livingstone Elsevier, 2014), 374. Unlike many other citrus oils, Petitgrain Oil is not considered phototoxic.